The sidewalk outside of Mango’s restaurant on K Street is soiled and needs a power wash. A couple of blocks away, a homeless man with wild hair and dirty clothing is lingering at a patio table at a pizzeria where employees are preparing for the lunch rush. Across the street from a construction site on 21st Street where workers are climbing scaffolds, food from discarded foam containers is spilling out onto the walkway. The problems are not urgent enough to demand police intervention. 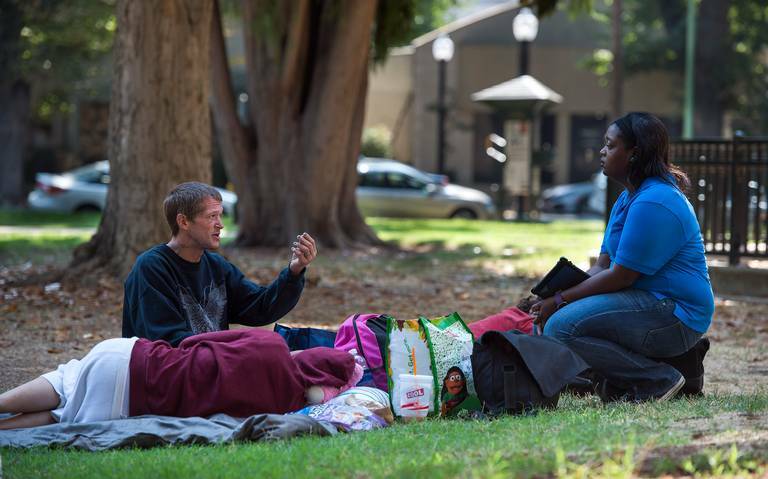 But they can be annoying and disconcerting to business owners and residents of midtown Sacramento, which is feeling the impact of the county’s growing homeless crisis. “Our area has seen an uptick in homeless activity over the past 12 months like nothing I have seen before,” said Emily Baime Michaels, executive director of the Midtown Association, which is funded by property owners and serves businesses across the area’s commercial core. The association is responding by doubling down on its Clean and Safe program, in which workers walk the streets to scrub graffiti, pick up trash, clean up human waste, and help connect homeless people with social services and medical care. What is Continuum of Care?